Home / 80w / battery / battery mod / Eleaf / eleaf ikuun / eleaf ikuun i80 / vape life / vape mod / vape style / What is Eleaf iKuun i80? What is Eleaf iKuun i80? 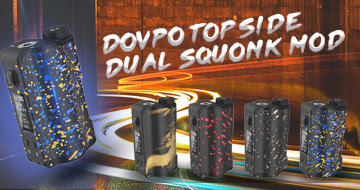 Eleaf has been established since 2011, it has gained a reputation in the vaping world, and brought a range of fashion and high performance products for the vaping family. Eleaf came up with a new product that called iKuun i80 recently. When the product was released, many people rushed to the Internet to learn about the new product. I sort out the information about iKuun i80. Now, let me explain what the Eleaf iKuun i80 is. 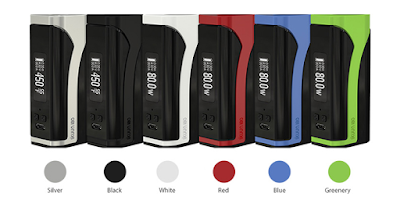 The Eleaf iKuun i80 is a 3000mAh built-in battery. 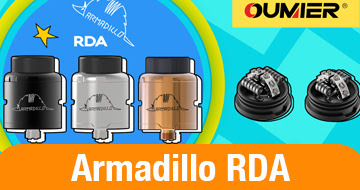 Its maximum output power is 80w. There are six colors to choose from, and one is always right for you. It has a large 0.91 inch screen that allows you to view data easily and clearly. Then there is an innovative temperature protection system that highly guarantees the safety of the charging process. It has switchable VW/Bypass/TC (Ni, Ti, SS, TCR-M1, M2, M3) modes, and you can switch your favorite pattern. The Eleaf iKuun i80 has a compact size and a large hidden fir bar. You can pick it up easily and use it easily. It supports 2A fast charging, so you don't have to worry about power when you're vaping. It has dual circuit protection function, so it is safe, and you can rest assured that use. It supports firmware upgrades, so you can always use the latest Eleaf iKuun i80. Finally, it can handle 25mm diameter tanks without any problems. This is Eleaf iKuun i80. What Are The Characteristics Of Eleaf iKonn 220W? Who Is The Most Beautiful Model? What Color of Aster 75W Box Mod Do You Like?